Visiting Professor John Black, University South Wales, Sydney gave his lunchtime seminar on the 14th February entitled Hakanai (儚い): The Transformation of Transport Organisations in Japan from Archaic Times - Searching for Conceptual Frameworks. The seminar invited suggestions on suitable conceptual frameworks or models for examining transport institutions and organisations and the key factors underpinning their establishment and transformation over time. For over 30 years Prof Black has collected historical and contemporary material in Japan on all modes of transport and their impacts on society and aims to consolidate this material into a book. The scope of the research in progress, in time (based on the classification by Ishii Ryosuke), is from the Archaic Tribal (Religious) State to today (plus some speculations on policy reform about the future), and, in space, is primarily the economic heartland of Japan between Tokyo and Osaka. The presentation drew on a couple of selected examples to stimulate discussion. First, with a provisional framework drawn from the "new institutional analysis", a brief outline was given to the history of port development (and shipping) in the Osaka Bay with particular emphasis on the Centralised Feudal State and the rise of the merchant class (Tokugawa period, 1603-1868). 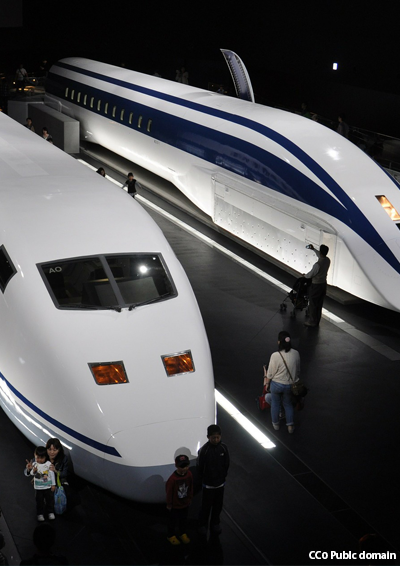 Second, the role of influential people ("agents of change" or "policy entrepreneurs") and how they influenced transport organisations was explored through early railway history in Japan, and through the military concept of the "bullet train" with its eventual construction (with World Bank funding), despite widespread condemnation (the "Railway Downfall Theory") as the Tokaido Shinkansen opening in time for the 1964 Tokyo Summer Olympic Games. Finally - as a member of a Tokyo-based NPO on Life-Cycle Infrastructure Management, a member of a Japanese committee on infrastructure financing, and with interviews with the Japan Cabinet Office and Board of Audit - some thoughts were offered on institutional reform.